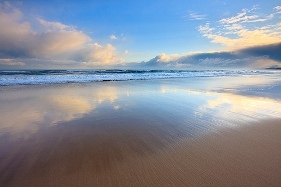 Looking for South Shields Hotel Accommodation ? 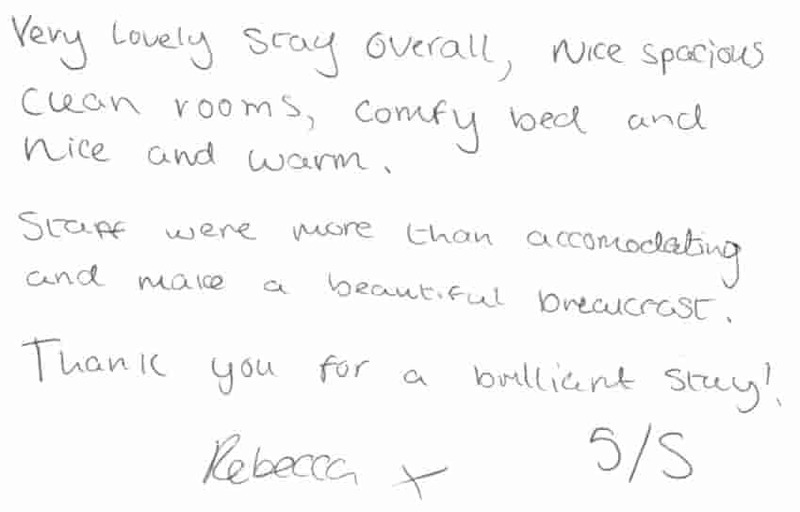 Annie's Guest House offers bed and breakfast accommodation in South Shields from £15 per person per night. 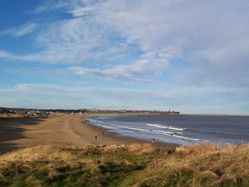 Our South Shields accommodation is centrally located on Beach Road, half way between South Shields Town Hall (shown below, on the corner of Beach Road and Westoe Road) and the sea front. 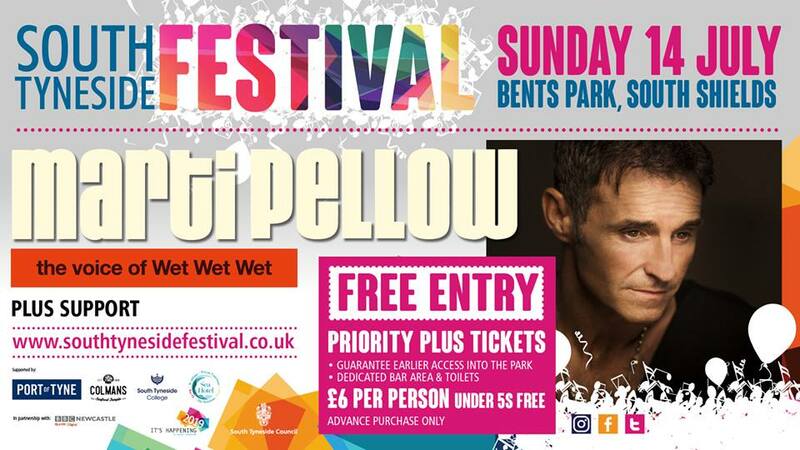 If driving to South Shields follow the A194 East until you reach South Shields Town Hall (the end of the A194). Take the left lane at the traffic lights then immediately take the right hand lane as you pass through the traffic lights and enter Beach Road. Our accommodation is half way along on the right-hand side at number 106. Sat-Nav files, printable Google map links and comprehensive public transport information can be found on the directions page of our website. 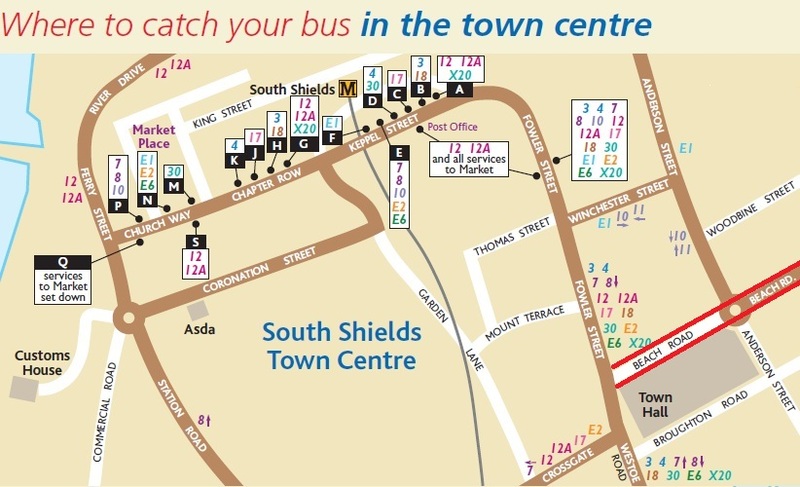 The image below shows our proximity to South Shields town centre - we are within close walking distance of River Drive, Ferry Street, Church Way, Market Place, King Street, Chapter Row, Keppel Street (the location of South Shields Metro station and South Shields bus station), Coronation Street, Fowler Street, Commercial Road, Station Road, Thomas Street, Mount Terrace, Garden Lane and Crossgate. Beach Road is marked in red on the lower right of the map. 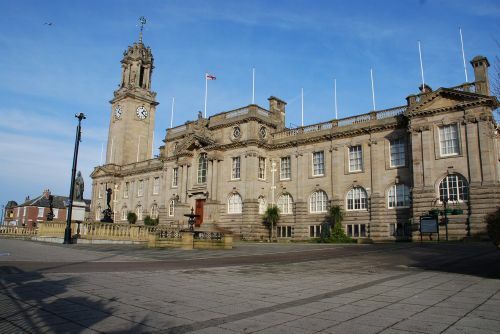 The map above also illustrates our location in relation to South Shields town hall and adjacent South Tyneside Register Office aka South Shields Registry Office at 10 Broughton Road, South Shields, NE33 2RN. 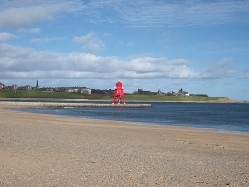 We are approximately ten minutes walk from the 24-hour ASDA on Coronation Street, South Shields.